The U.S. Department of Labor has issued compliance guidance for benefit plans, employers and employees, and service providers who are impacted by Hurricane Harvey. The guidance generally provides relief from various ERISA requirements and time limits for entities in the disaster area. This follows the Internal Revenue Service (IRS) announcement extending certain filing dates, including Form 5500. 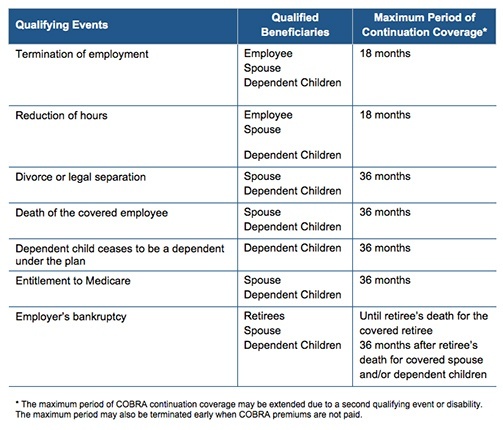 “The Department recognizes that some employers and service providers acting on employers’ behalf, such as payroll processing services, located in identified covered disaster areas will not be able to forward participant payments and withholdings to employee pension benefit plans within the prescribed timeframe. In such instances, the Department will not–solely on the basis of a failure attributable to Hurricane Harvey–seek to enforce the provisions of Title I with respect to a temporary delay in the forwarding of such payments or contributions to an employee pension benefit plan to the extent that affected employers, and service providers, act reasonably, prudently and in the interest of employees to comply as soon as practical under the circumstances…. “With respect to blackout periods related to Hurricane Harvey, the Department will not allege a violation of the blackout notice requirements solely on the basis that a fiduciary did not make the required written determination…. The DOL also released FAQs for Participants and Beneficiaries Following Hurricane Harvey. The eight-page FAQ covers issues regarding health plan claims, COBRA continuation coverage, and collecting retirement plan benefits. Direct qualified beneficiaries to the plan’s most recent SPD for current information regarding the plan administrator’s contact information. For plans that include health flexible spending arrangements (FSAs), disclose the limited nature of the health FSA’s COBRA obligations (because certain health FSAs are only obligated to offer COBRA through the end of the year to qualified beneficiaries who have underspent accounts). Explain that the spouse may notify the plan administrator within 60 days after the entry of divorce or legal separation (even if an employee reduced or eliminated the spouse’s coverage in anticipation of the divorce or legal separation) to elect up to 36 months of COBRA coverage from the date of the divorce or legal separation. Describe that a covered child enrolled in the plan pursuant to a qualified medical child support order during the employee’s employment is entitled to the same COBRA rights as if the child were the employee’s dependent child. Practically speaking, the initial notice requirement can be satisfied by including the general notice in the group health plan’s SPD and then issuing the SPD to the employee and his or her spouse within 90 days of their group health plan coverage start date. If the plan doesn’t rely on the SPD for furnishing the initial COBRA notice, then the plan administrator would follow the U.S. Department of Labor (DOL) rules for delivery of ERISA-required items. A single notice addressed to the covered employee and his or her spouse is allowed if the spouse lives at the same address as the covered employee and coverage for both the covered employee and spouse started at the time that notice was provided. The plan administrator is not required to provide an initial notice for dependents.